The Ibis Hall Table was inspired by graceful stance of birds. This one is made using Quilted Maple for the legs and Curly Maple for the top. 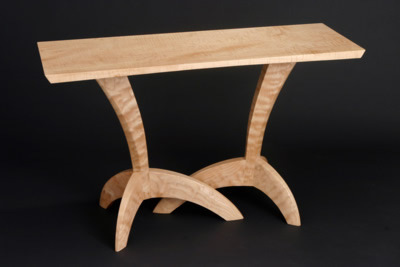 This design can also be adapted for use as a desk or coffee table. Curly and Quilted Maple.